The author and journalist Giuseppe Severgnini was born on this day in 1956 in Crema in northern Italy. 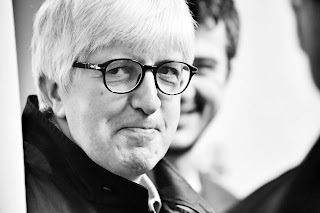 Better known as Beppe Severgnini, he is a respected commentator on politics and social affairs, about which he has written for some of the most influential journals and newspapers in Italy and the wider world. Severgnini is equally well known for his humorous writing, in particular his gently satirical observations of the English and the Americans as well as Italians, about whom he has written many books. His biggest selling titles include An Italian in America, which has also been published as Hello America. He has also enjoyed success with La Bella Figura: An Insider's Guide to the Italian Mind, Mamma Mia! Berlusconi's Italy Explained for Posterity and Friends Abroad, and An Italian in Britain. Severgnini is currently a columnist for Corriere della Sera in Italy and the International New York Times in the United States. A former correspondent for the British journal The Economist, he writes in both Italian and English, having spent a number of years living in London, Washington and New York. The son of a notary in Crema, Severgnini graduated in law at the University of Pavia. For a brief period he worked at the European Community headquarters in Brussels before beginning his career in journalism at the age of 27, when he joined the Milan daily newspaper Il Giornale, headed by veteran Italian journalist Indro Montanelli. It was soon evident he was a talented writer and he became the paper's London correspondent. Subsequently, during the years of the fall of communism, he became a special correspondent in Eastern Europe, Russia and China. 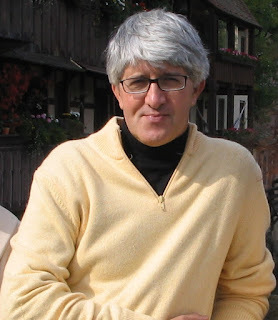 When Montanelli set up a new venture, La Voce, Severgnini became its Washington correspondent in 1994 before returning to Italy the following year and beginning his long association with Corriere della Sera, for whom as well as writing opinion pieces he moderates a popular forum, simply called 'Italians', originally aimed at Italian expatriates, which has become one of the most read regular features of the newspaper's website. Severgnini was Italian correspondent for The Economist between 1996 and 2003 and still writes for the magazine from time to time. He has also contributed to the Sunday Times and The Financial Times in the UK and occasionally writes about football for Gazzetta dello Sport. Away from newspapers and books, he has taught at the Walter Tobagi graduate School of Journalism at the University of Milan, been writer in residence at Massachusetts Institute of Technology and a visiting fellow at Ca’ Foscari Venezia. One of his books, Signori, si cambia: In viaggio sui treni della vita (All Change: Travelling on the Train of Life), has been turned into a play, Life is a Journey, in which he also stars. He presents a television show on RAI TRE entitled The Grass is Greener, which compares Italy with other European countries and America. He was made an Officer of the British Empire (OBE) in 2001 and a Commendatore of the Order of Merit of the Italian Republic in 2011. A keen supporter of Internazionale and the owner of a 1954 Vespa motor scooter, Severgnini lives near Milan with his wife and their son Antonio. The small city of Crema, which sits on the banks of the Serio river about 50km east of Milan, has an attractive historic centre built around the Piazza del Duomo. 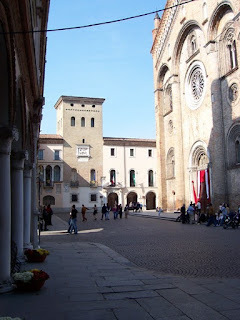 Apart from the cathedral itself, which has a tall bell tower completed in 1604, the area includes the Santa Maria della Croce basilica, built around a 35km high circular central structure, the Palazzo Pretorio and the Palazzo Comunale. 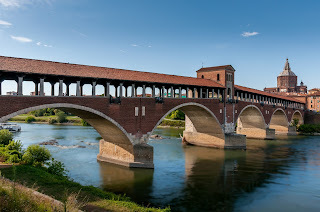 Pavia was once the most important town in northern Italy, the legacy of which is evident in its many fine buildings. These include a cathedral boasting one of the largest domes in Italy, a beautiful Romanesque Basilica, San Michele, and the well preserved Visconti Castle, surrounded by a large moat, which is home to the Civic Museum. The covered bridge across the Ticino River is a faithful reproduction of a 13th-century bridge destroyed during Allied bombing raids in the Second World War.